Just a quick note that today’s episode contains details of a violent and graphic nature. The crimes are over a century old, but the information is still horrifying. Please take special care-- and you have been warned. I've always thought that the expansion of 19th century London must have been a real sight to behold. I think of the glittering innovation of the Great Exposition of 1851, held in iron and glass Crystal Palace that attracted swells of people from all around the globe, as a wonderful microcosm of the capital as a whole. Just as the Great Exposition welcomed record numbers of visitors during its 5 and a half month run, London, too, was increasing by leaps and bounds. During the 19th century, the capital of England grew exponentially, becoming, by the mid-point, the largest city in the world. A commitment to so-called motive power--the energy used to power machinery-- led to an expanse of railway systems that connected the center of London to its environs and the countryside, and to what would eventually be considered the suburbs. London claimed the world’s first underground metro system, and the city was also powered by horse-drawn trams. All of this transportation served not only to carry its citizens around the city, but they also delivered immigrants in from all over the world, who were motivated to relocate for any number or combinations of reasons. London in the 19th century had political and religious freedoms, making it a stable alternative to many other countries in the world. Its economy was robust, and London’s positioning as a port city only served to enhance its commitment to industries like trade, shipping, and fishing. As such, London became THE place, along with America, for people the world over to begin their fresh starts. But that isn't to say that 19th century London was all roses. The vast expansion the city experienced had some pretty awful downsides. It was overcrowded, and the infrastructure was not able to keep up with the massive influx of people from all over England and the world, jockeying for better opportunities for themselves and their families. On the periphery of the city especially, congested slums started popping up to hold those with little money and means. Thousands of people, slammed together, in a place whose water and sewer systems (which were brand-new at the time, too), just couldn't do enough to be salubrious. So disease was rampant and morale was low. And then, of course, there was the crime. Much was made of the so-called “criminal classes” during this period. The Victorians were terrified of the lower-classes, particularly down-and-out men living in the crowded outskirts of the city who, they thought, were lurking in the shadows, just waiting for the opportunity to arise for a well-timed theft, brawl, or even worse. Much of the crime during the second half of the century went unreported, partially because of a lack of trust in bobbies-- the city police who were established in 1829 by Sir Robert Peel-- but also because some of the crimes weren't necessarily considered all that criminal. Theft, for example, would sometimes be chalked up to a simple quote “loss of property,” and domestic violence-- well, that wasn't really illegal, was it? But what did get reported-- and what buoyed the sales of newspapers-- was gruesome murder. And if that murder also happened to have a titillating element of sexual misconduct? Then you’ve hit a home run. But in the 1888, Londoners clamoring for a bit of excitement to spice up the drudgery of their unhealthy lives got far more than they bargained for. They got weeks of abject terror surrounding a madman who slaughtered women in London’s East End… and was never identified or caught. And more than 100 years later, we are still no closer to really identifying one of the most terrible killers of all time. Or are we? Some people think that visual art is dry, boring, lifeless. They might remember childhood field trips to museums stuffed with cranky old women, deathly silent galleries, and dusty golden frames hanging on the wall. But sometimes, the stories behind those paintings, sculptures, drawings and photographs are weirder, crazier, or more fun than you can imagine. Art History is full of murder, intrigue, feisty women, rebellious men, crime, insanity, and so much more. And today, in this first half of our special two-part Halloween episode, we are going to delve into a theory that identifies Jack the Ripper as the English painter Walter Sickert. Exploring the unexpected, the slightly odd, and the strangely wonderful in Art History, this is the ArtCurious Podcast. I'm Jennifer Dasal. In this episode, which will be the first half of our series on Jack the Ripper, we'll run through a brief history of the murders, and give a little biographical background to Walter Sickert. The next episode will delve into the supposed connections between the Ripper and Sickert. Before we begin, I’d like to remind sensitive listeners once more that what you are about to hear is obviously of a violent and gruesome nature. Please take extra care when listening to this episode, and do not listen in the company of young children. On the morning of August 31st 1888, a prostitute named Mary Ann Nichols, known as Polly Nichols, was discovered dead in Bucks Row, a street located in the section of London known as Whitechapel. Her throat had been severed by two deep two cuts, but that wasn’t all-- the lower part of her abdomen had also been ripped open, revealing an incredibly deep and jagged wound. A sad reality of the late 19th century is that prostitution-- which was legal at the time, as long as it didn't cause a domestic disturbance-- came with the potential price of losing one’s life. The death of a prostitute at the hands of a client wasn't all that unusual. But Polly Nichols’s death-- or more precisely, the manner in which she died-- was so violent and bloody that its discovery immediately created a furor and panic in Whitechapel. Killings may not have been all that unusual. But killing someone in this way? Unthinkable. The uproar and terror produced by the Nichols murder was large- but things only got worse from there. Just 8 days later, another murder was committed-- this time in the backyard of number 29 Hanbury street, also in the East End of London. The body of Annie Chapman had been discovered early that morning with her throat also severed by two cuts, just as had been done to poor Polly Nichols. And like the Nichols murder, Chapman, too, had her abdomen sliced wide open. But this time, that wasn't all- her entrails were pulled away and draped over her shoulder, and it was later discovered that her uterus had been fully removed. Who was this maniac, this deranged killer? There were very few clues, and even fewer leads. At the end of September, the killer- or at least we can assume it was the killer- contacted the local press and identified himself by the name of Jack the Ripper. Jack warned that his actions were really just beginning- he was preparing to strike again, and Londoners lived in abject fear that their wives, mothers, and daughters might be the next victims. Was he just targeting prostitutes, or was any woman a potential target? And would Jack move on to attack men as well? Or worse- children? They didn't have to wait long to see who the next victim would be, though. Three pdays after the letter was received, Jack the Ripper struck again, but this time, he struck twice. The killings of September 30, 1888 would later be known as the so-called Double Event. The first victim was a prostitute named Elizabeth Stride whose corpse was discovered at about 1 a.m., in Dutfield's Yard, again in Whitechapel. Like the others, Stride’s death was brought about by a very deep slice across the throat, which severed the artery and brought on massive and quick blood loss. But it looked like perhaps Jack the Ripper had been interrupted in the midst of his awful activity. Stride’s clothing had been pushed up over her body, but her abdomen was left intact. And it seems that because he hadn't been able to complete his mutilation, he was left raging with feelings of inadequacy and incompletion. So he chose to strike again. Less than one hour later, and less than a mile away from Stride’s murder, a policeman named Edward Watkins entered Whitechapel’s Mitre Square for his usual patrol beat. Just 15 minutes prior he had walked his same route through and around the square and had noticed nothing out of place. On his next round, however, he discovered a body in the corner of the square, which would later be identified as that of Catherine Eddowes. And by now, you surely know, as Patrolman Watkins probably did, what Watkins was about to discover. Like her unfortunate counterparts, Eddowes had had her throat severed, and her abdomen was savagely ripped open by a long, deep, jagged wound. And like Annie Chapman before her, Eddowes’s entrails had been removed. Her intestines had been cut out and now lay beside her body, and the majority of her uterus had been removed, too, along with her left kidney, which went missing. But here, the Ripper again upped the ante, and slashed her face, too- as if the mutilation hadn't been bad enough. Upon seeing the body at the crime scene, another police officer would later note that Eddowes looked QUOTE “like she'd been ripped up like a pig in the market." If there was one thing that Jack the Ripper enjoyed almost as much as killing, it was toying with the authorities. Not far from the scene of the crime, the police found an apron belonging to Eddowes discarded in a doorway. Above it, written in chalk, was the grammatically unfortunate sentence, quote “The Juwes are the men that will not be blamed for nothing.” Jews, spelled J-U-W-E-S, by the way, so the ripper was not only evil, ghastly, and anti-Semitic, but a terrible speller, too. The clue, though, has puzzled historians and ripperologists- yes, that's their official term-- for over 125 years. Unfortunately, The Commissioner of the Metropolitan police, Sir Charles Warren, quickly ordered the message to be rubbed off the wall- and so adamant was he about the removal of this inflammatory statement that he traveled to Whitechapel to erase it himself. Of course, this action occurred before any photographs could be taken of the chalk writing, so no handwriting analysis or further investigation could be done of the scene. Commissioner Warren would later explain his actions as being driven by concern that the writing would spark anti-Semitic riots in an already-uneasy city, but his strange methodology has led to accusations of a cover up. Did he destroy a harmless piece of graffiti unrelated to the crimes, or a genuine clue left by Jack the Ripper? And if it was a clue to the identity or the motivation of the murderer, what did it mean? To this day, experts are still unsure, but one outcome was clear. Sir Charles Warren was overwhelmed with criticism for his decision, and so he resigned quickly afterwards. The majority of October 1888 passed without crime or word from Jack the Ripper. Citizens and the police alike were relieved, hoping that either the killer had been caught during the course of the ongoing investigation, or that he had fled the area, or, most unlikely, that he had, for some reason, chosen to end his killing spree. Their relief, though, was short-lived, and a fifth murder proved to be the most gruesome and gory of them all. As one onlooker reported, quote "It appeared to be the work of a devil." Mary Kelly’s death is the last of what is known as the “Canonical Five,” or the five deaths that have been directly linked to Jack the Ripper. Other crimes, of course, have long been thought as possibly connected to him as well, but these have not been verified. And even all these years later, we still don't know who Jack the Ripper was, nor do we know why he committed his terrible deeds. And new suspects seems to bubble up from the fog of Victorian history every few years. Jack has been identified as a frustrated lawyer, a Polish immigrant, a royal prince, a psychotic Doctor, and even a madwoman- Jill the Ripper, they say. These are but a few of the many individuals who have been suspected of being the killer. And in 2002, another person, long dead, was once again brought to the forefront of the greatest unsolved serial murders of all time. 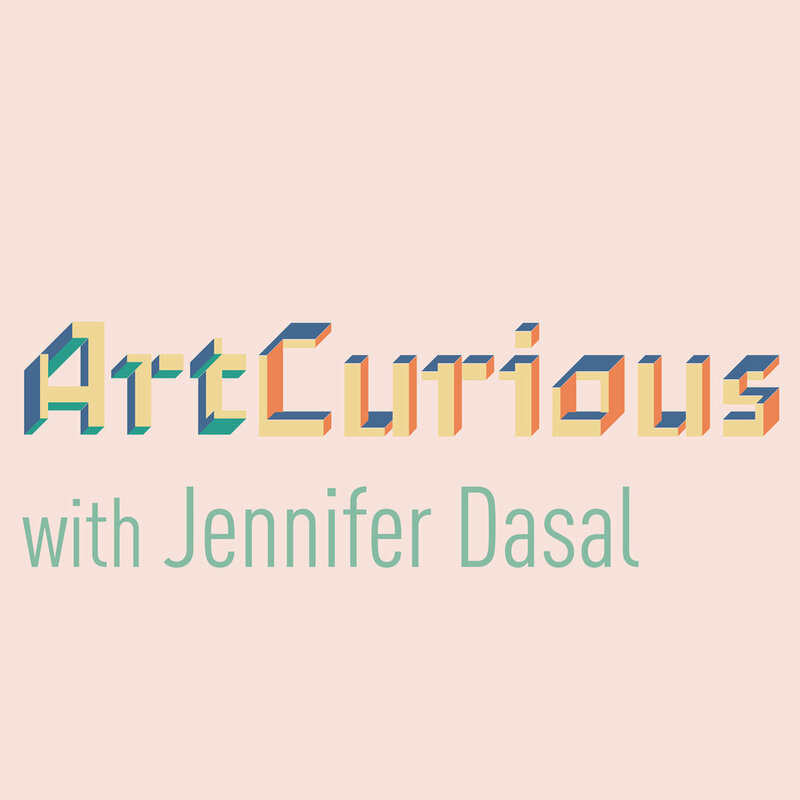 Thank you for listening to this special two-part episode of the ArtCurious Podcast. This episode was written, produced, narrated, and edited by me, Jennifer Dasal, with production assistance from Kaboonki Creative. Learn more about all the ways that Kaboonki can help you with your personal and business creative needs at www.kaboonki.coom-- that's K A B O O N K I dot com. Now, normally we release new episodes of the show every two weeks, but as a spooky little present to you, our awesome listeners, we'll be dropping the second half of our Jack the Ripper story in just one week- on Halloween. So be sure to check back. For images that relate to today’s story, as well as links to further information about this episode and our previous episodes, please visit our website at artcuriouspodcast.com. Due to the nature of this story, I have chosen not to post the existing crime scene photos of the Jack the Ripper victims on the website, nor will I be posting anything like them on our social media accounts. You are welcome to google them if you so choose, as they are readily available online. Instead, please do check the site for images of Walter Sickert and his work, including the specific paintings that we'll be discussing in next weeks’ episode. As always, I will post links to articles mentioned in the show today as well as several texts that I used during the course of my research. If you liked this show, let us know! ArtCurious is reachable in many different ways-- contact us via the website, or email us at artcuriouspodcast@gmail.com, or find us on Twitter and Instagram at artcuriouspod, where we are posting great images and tidbits on a daily basis. Got an idea or a request for an upcoming episode? Feel free to let us know that, too. And, most of all, please subscribe and rate us on iTunes and recommend us to your friends and fellow art aficionados, so that we can find more listeners and share the love. If you write a review for us on iTunes-- it's quick and easy to do, I promise-- it will help us tremendously to get an even more committed following. That way, I can keep bringing you more of these fantastic and strange stories. Check back next week for our second Ripper episode as we continue to bring you the unexpected, the slightly odd, and the strangely wonderful in art history.